While Singapore gets increasingly hotter this time of the year, many of us run off to nearby countries to enjoy the cold. Why not head to the nearest Disneyland and experience the top 5 new things to do in Hong Kong Disneyland this Spring? 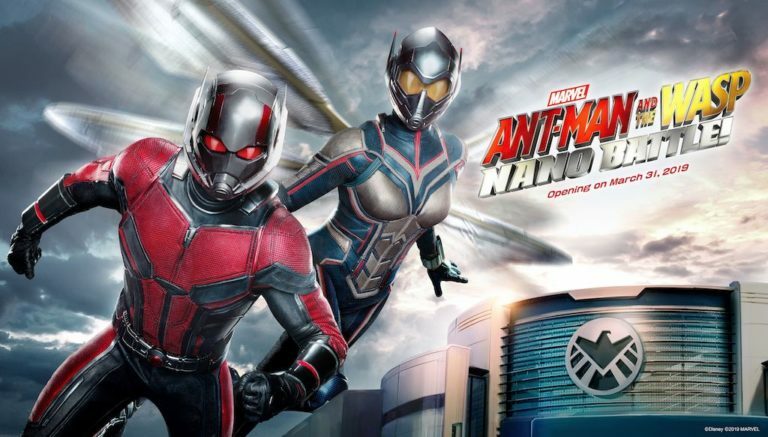 Start your trip to Hong Kong Disneyland by visiting the world’s first attraction featuring Ant-Man and The Wasp! Ant-man and The Wasp: Nano Battle! is set to open this upcoming March 31, 2019. Be the first to enjoy this all new exciting attraction. The adventure begins with a visit to the S.H.I.E.L.D. Science and Technology Pavilion. The visit however, is interrupted by Hydra who initiated a two-pronged Swarmbot attack in Hong Kong. While Iron Man battles the enemies at Kowloon, he calls in Ant-man and The Wasp to defend the pavilion! Guests will be shrunk to ant-size in a heroic battle alongside the heroes to defeat the villains! The attractions may close for the night but the fun doesn’t stop here! This year, the Easter Magicarnival and hotel activities are extended from day to night, letting hotel guests have all day fun during their stay at the resort. With engaging outdoor games and activities including Disney-themed bouncy castles and unique obstacle courses, guests of all ages will surely enjoy this! Be sure to make time to catch the “Carnivale of Stars”! This Spring features characters such as Mickey Mouse and Friends debuting special seasonal costumes – keep an eye out for Cookie, Duffy’s new friend, who will join the festivities for the first time ever in her new Springtime outfit. Pictures of your favourite Disney characters in cute outfits definitely make for great keepsakes! Visitors can also join the popular and egg-citing “Disney Character Egg Hunt” where new faces are set to appear, including beloved characters from “Toy Story”, “Ant-Man and The Wasp” and even Captain Marvel herself! This spring, 80 plus seasonal exclusives are up for grabs! For the first time ever, Disney fans can get their hands on the new Eggstravanganza egg-shaped toy starring Mickey and friends, along with characters from “Toy Story”. Fans of Duffy and Friends can look forward to Cookie’s debut in the adorable Easter Bunny-themed all-new Spring-themed collections.